How could one help becoming aware of the existence of great and silent forces at work in the outdoors about us? As the T.C. 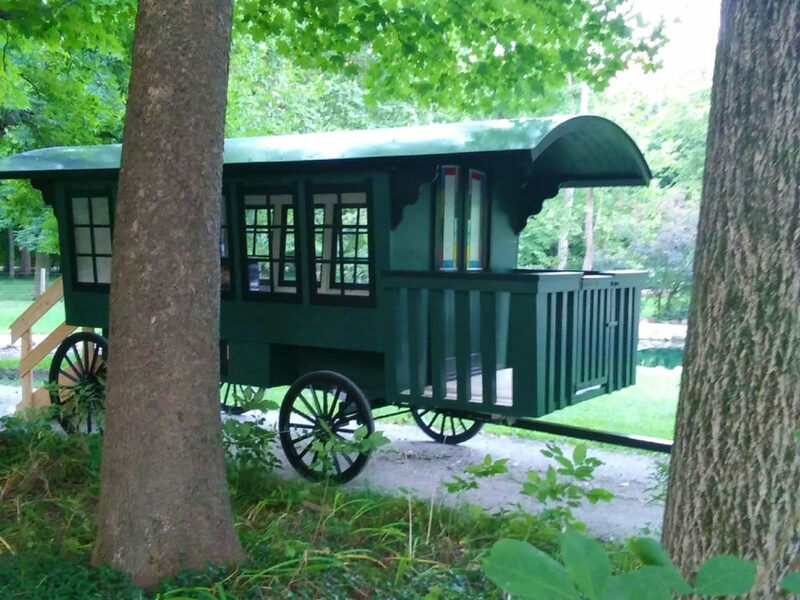 Steele State Historic Site is about to welcome its newest installation, a replica of Steele’s traveling studio wagon, it is a perfect opportunity to think about the relationship between the “outdoors about us”, creativity and artistry. Selma and Theodore both relished every chance to contemplate nature and elaborate on what they saw, both in the beautiful gardens to which Selma dedicated so much attention, or the paintings in which Steele captured the subtle and changing colors of the Southern Indiana landscape. Both subscribed to an Impressionist aesthetic according to which the eye, the body, and the mind are immersed in nature and can thereby translate the ever-nascent, yet also ever-fleeting stimuli that surround us. Though Selma’s gardens are sedentary, they renew themselves every season and the gardener assists in this perpetual cycle. Similarly, the painter’s mission, as evidenced in Steele’s work, is to capture on the canvas instant images of nature without losing its constant motion. Thanks to the loose brush strokes, nature still appears vibrant, even in the realm of representation. The “plein air” practice was born in the midnineteenth century when artists, such as the French School of Barbizon and later Impressionists like Monet, found that natural light is more conducive to the depiction of nature. Steele was also a strong advocate for the technique, using his studio wagon to travel the countryside and find the perfect spot for a perfect rendering. Discovering unwalked paths and unseen views was key to Steele’s practice and, one could argue, explains the enduring appeal of his paintings. To this day, the great tradition of plein air remains in full swing, and the T.C. Steele Historic Site is committed to keeping it alive, thanks to the PaintOut event, part of the Great Outdoor Art Contest (the 30th edition) to be held on Saturday, September 8, 2018. The completion of the T.C. Steele historic studio wagon will be a special addition for art lovers of all ages.